We made this at New School of Cooking, and I was immediately impressed with how good it was. 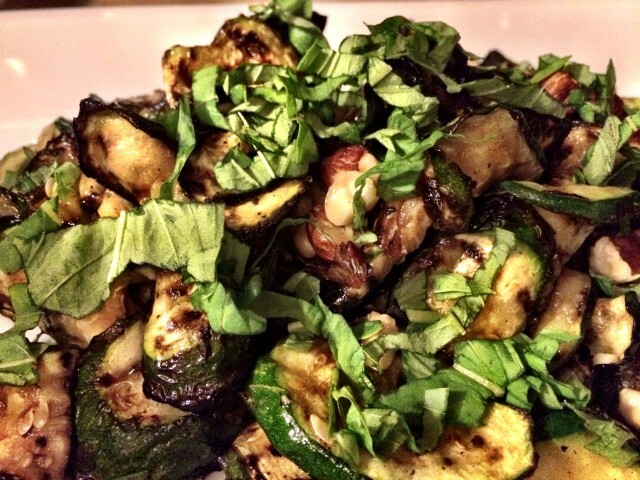 Zucchini had never blown me away before, but I’m not gonna lie this recipe has been a major game-changer. Every time I make it for a group, people go nuts and it’s now one of our weekly veggie dishes. It’s even better if you have a spouse who loves to grill, but even if you don’t have a standard grill you can use a grill pan and be fine. It’s the perfect side dish! Preheat oven to 300. Scatter the hazelnuts over a baking sheet and roast for 12-15 minutes, or until nicely browned. Let them cool down before rubbing them between your hands to remove most of the skins (some should remain). Chop the hazelnuts roughly. Place a ridged griddle pan on high heat and leave it there until it’s almost red-hot–at least 5 minutes or use a standard grill. 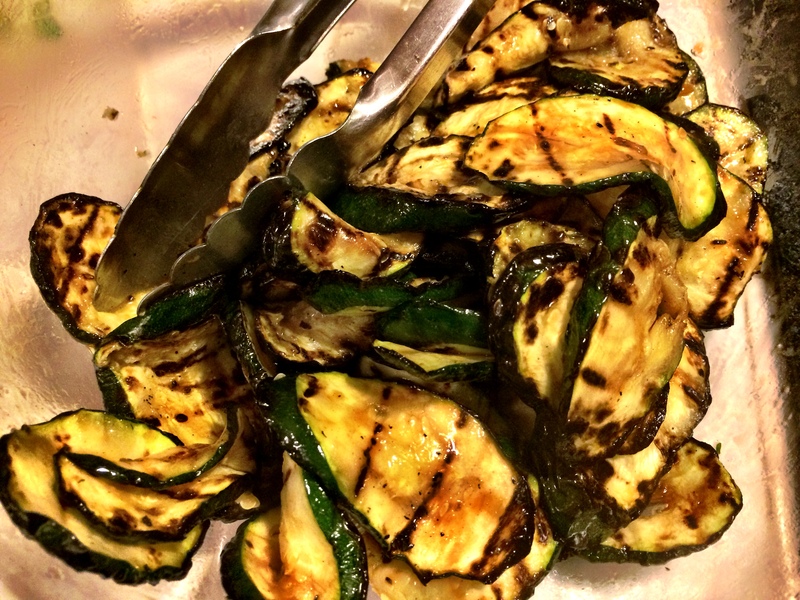 Meanwhile, trim the ends of the zucchini and cut them on an angle into 3/8-inch-thick-slices. 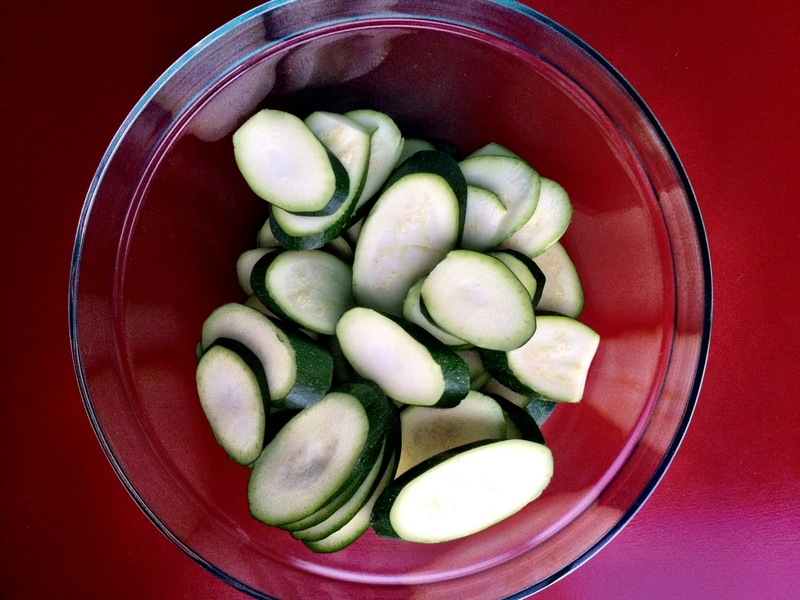 Place them in a bowl and toss with half the olive oil and some salt and pepper. Place the slices on the hot grill pan or grill and char-grill for about 2 minutes on each side; turn them over using tongs. You want to get distinct char marks. Transfer to a mixing bowl, pour over the balsamic vinegar, toss together and set aside. 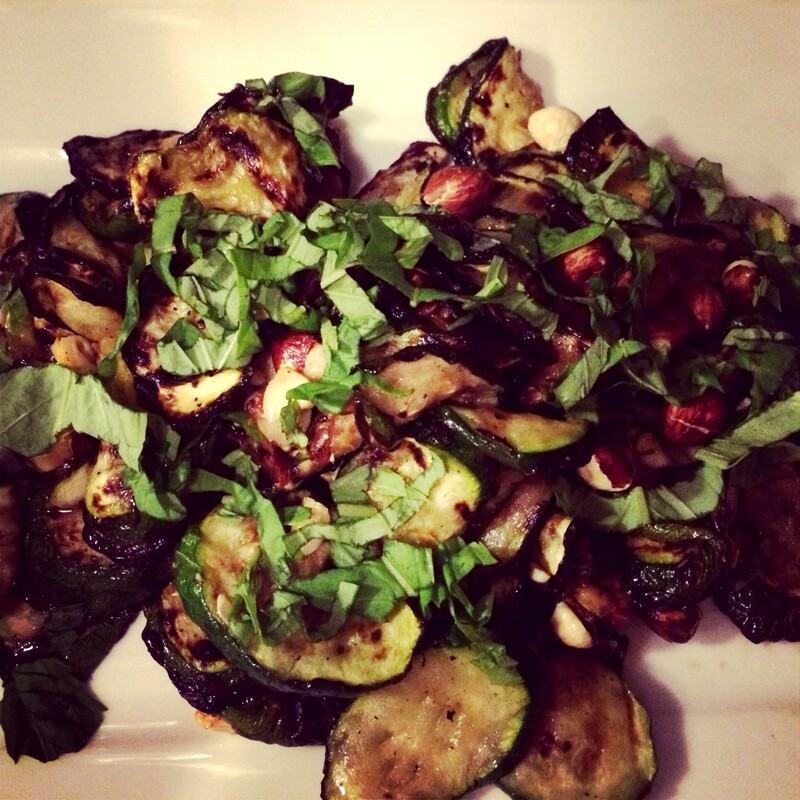 Once the zucchini have cooled down, add the remaining olive oil, the basil and hazelnuts. Mix lightly, then taste and adjust the seasoning accordingly. Transfer the salad to a flat plate, incorporating the Parmesan, and drizzle the hazelnut oil over the dish for a finishing touch (parm not shown below, but trust me–it makes the dish).